Not much new in the basics of the game story, much like the last couple of weeks — not all that good of starting pitching (although better than some in recent days), very good pitching by opponents, another loss. That would be nine losses and two wins since the Bulls came home back on June 18th. So lets just jump right to the oddities. The first Toledo Mud Hen hit of the day, who eventually scored the Mud Hens first run, didn’t come until the 3rd inning. It was a single by their new second baseman, Alexi Casilla. Who? That’s right, Alexi Casilla! It seems that yesterday morning the “data-driven” Rays traded the Bulls' best hitter to Detroit for something not reported (money? player?). 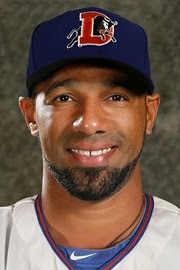 Detroit assigned Casilla to the Mud Hens and I’m guessing he just drug his bags from one locker room to the other sometime before the game. Good Luck, Alexi. Loved watching you play and you helped the Bulls while you were with them. Something had to give when Tim Beckham finally showed up. However, in keeping with WDBB tradition, we gloriously struck out the other day by naming three, count ‘em, three possibilities. I whiffed on all three. Age before beauty, I guess. Looking back at our hitters chart from a few days ago, three of the “above average” guys are gone — Alexi Casilla, Allan Dykstra, and Eugenio Velez — while all of the below-average crew remains. Don’t get me wrong, I like all of those guys. It’s just that something other than these data are driving the Rays decisions. Meanwhile Tim Beckham is finally in a Bulls uniform and playing third base. Third base? Well, of course he is. The fact that in 623 minor league games and in 32 major league games he never once played third base should be no real surprise. We’ll see. What’s next? Center field? That’s what was done with the famous Melvin (formerly known as B.J.) Upton. Beckham did get two hits, stole a base, and scored the only run. Oh, he also picked up his first error as a third baseman (a throw in the bottom of the 8th). In fact, we are happy to have him with the Bulls. Here's hoping he stays healthy and shows some of that bat pop he had at the end of last season. dealt for ptbnl or cash? ouch, thats tough for fans to swallow, especially for a guy with those numbers, but its a typical MO for the rays front office.